click photo to enlarge We have driven on Route 395 past Mono Lake a number of times but we never had enough time for me to go photograph it. I have seen some very dramatic pictures of it. Well, this day was my day to go explore it and we were given a dramatic sky for photos. 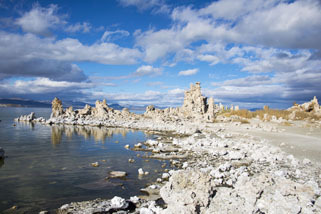 Mono Lake has no outlet so becomes alkaline because of that. 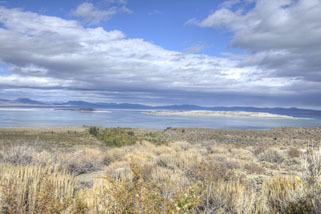 There is a very nice visitors center that over looks the lake. 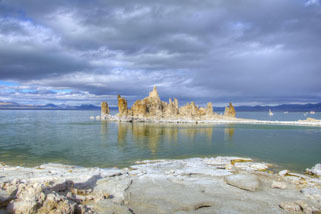 click photo to enlarge Mono Lake is believed to have formed at least 760,000 years ago, dating back to the Long Valley eruption. 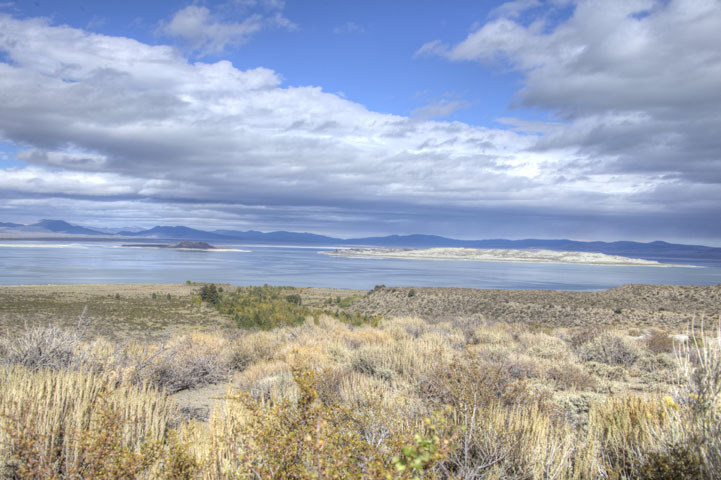 Sediments located below the ash layer hint that Mono Lake could be a remnant of a larger and older lake that once covered a large part of Nevada and Utah, which would put it among the oldest lakes in North America. 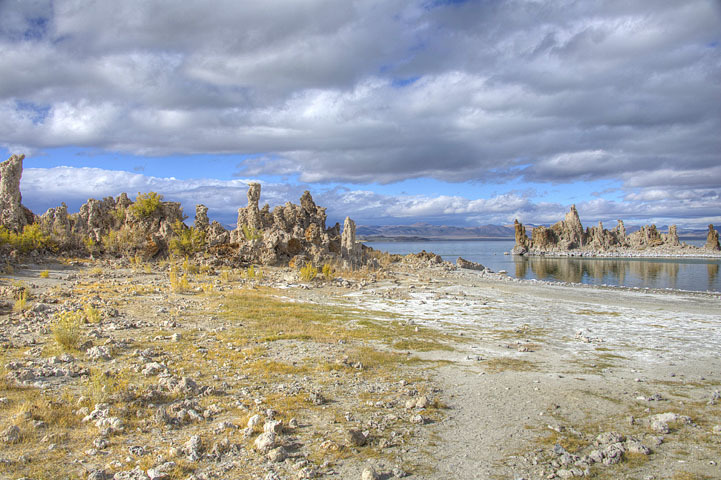 All the photos here except the top one were taken at the South Tufa area. 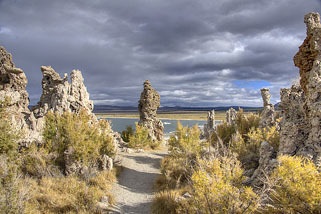 It is a very other worldly place to experience. 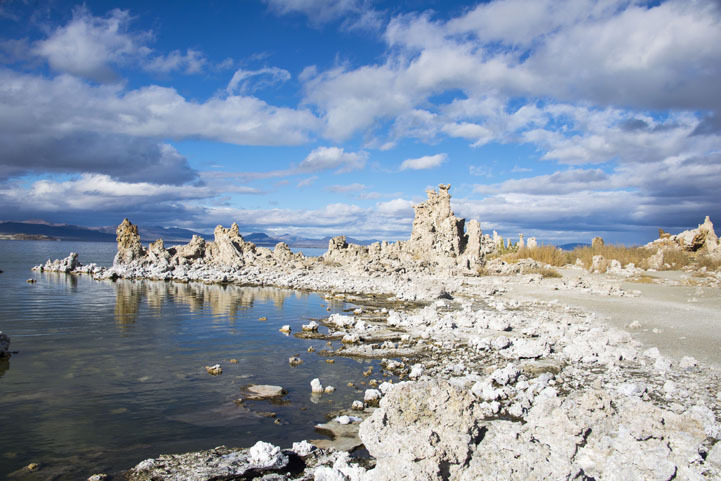 But if we ever wanted to stay there again we would stay in Mammoth instead of Lee Vining. Motels in Lee Vining leave a lot to be desired.